This week, America held its midterm elections, with the Democrats taking control of the House, and the GOP extending their grip on the Senate. Donald is already feeling the heat, sacking Jeff Sessions (which could have massive ramifications for the Mueller investigation), and lashing out at reporters in another one of his trademark batshit crazy press conferences. 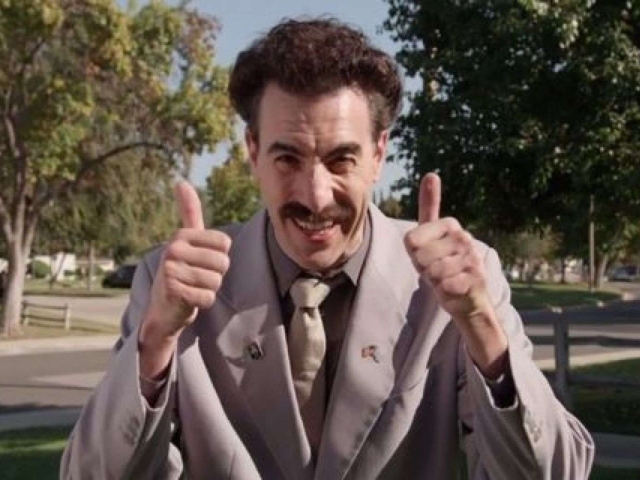 Do yourself a favour and watch that, and then let’s get stuck into some Borat. Sacha Baron Cohen is hot property again, after his Who Is America? series proved to be a huge success. That might have something to do with the fact that politicians insisted on making complete and utter fools of themselves (or worse, bigots), but what people really wanted for the midterms was a little Borat in their lives. Someone should tell that woman that the child detention centres are very, very far from holiday camps. Better yet, play her the audio recorded from inside one.